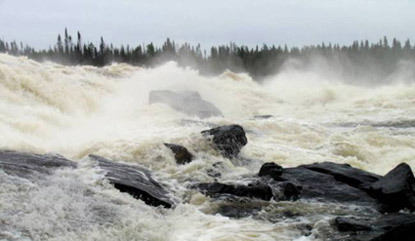 This website is your complete source for all the information you'll need to make a trip up into the James Bay region of Quebec. 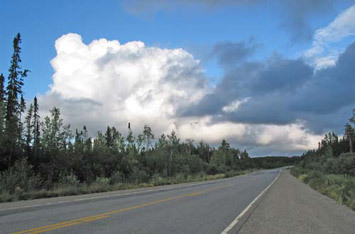 The James Bay Road is the main route north into this region. It is paved for its entire 620km length, but there is only one gas station. 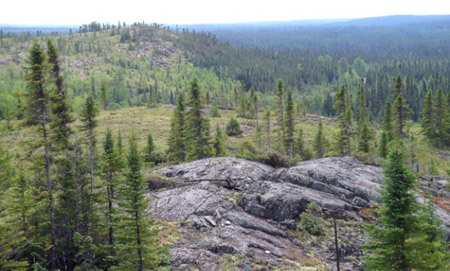 For the ultimate remote road trip you can also travel east along the extremely remote Trans-Taiga Road, at the end of which you will be 745 km from the nearest town! 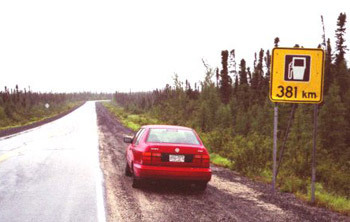 The North Road is an alternate route to reach the bottom part of the James Bay Road. If you're not into driving long distances, you can make the journey without leaving home by taking a Virtual Tour, or visit the Travelogues section of this website. Travel Information: How to get there, what to do, weather, cautions, where to obtain more information, trip planner, and more. Weather information, New Weather Lookup to help you determine when is the best time to go. 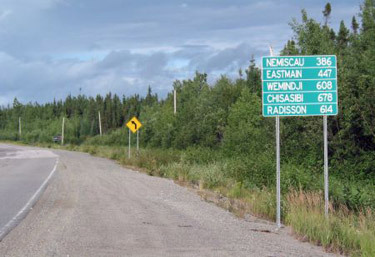 FORUMS: Discussion about the James Bay Road, North Road, Trans-Taiga Road and the general region. Share your experiences and tips. Ask questions. Towns of the region: Information & maps of towns reachable from the James Bay Road. Hydro Quebec: These roads exist because of the Hydro Quebec James Bay power project. Mar 3/09: Some colour changes. Nicer logo at the top. Site Search implemented. Dec 23/08: The site got a major makeover. If you are still seeing blue-themed pages, hit refresh in your web browser. Dec/08: I am looking for someone to translate the entire site into French again. I had it done once, but the French site is way out of date! Email me. Une version française du site est maintenant disponible! Consultez le menu au haut de chaque page pour accéder à la version française. Puisque la traduction est présentement en cours, il est possible que la page à laquelle vous tentez d'accéder ne soit pas encore traduite. French version Some pages of this site are now in French. See the menu at the top of each page to access the French version. However, many pages are not yet translated.